Back in early 2000s, I too had a Nokia 3310! Ever since then most of us had been witnessing the evolution of mobile devices and the underlying telecom technologies. Be it in terms of form factor, multimedia support, keypad vs. touch screen, battery capacity/size, Apps, and what not. We also know what had happened to Nokia as a popular brand when they could not pace up with Apple (iOS) and Google (Android). Now giving a reincarnation to its greatest ever Nokia 3310 has definitely brought a buzz in the market. From what I learned so far is that Nokia is literally reincarnating 3310 with much better screen resolution; non mono-chrome, battery, and the famous Snake game. But with 2.5G in the 4G/5G/Apps era, can 3310 bring anything new to the targeted users’ segment – 90 Euros? OR is it just for technological nostalgia, which can soon go to your showcase/collections? Anyway, great announcement done for the brand relaunch. Best wishes to Nokia. I was quite moved by viewing some of the photographs and related videos of our amazing space. It really makes you feel how small you’re when compared to its magnitude. 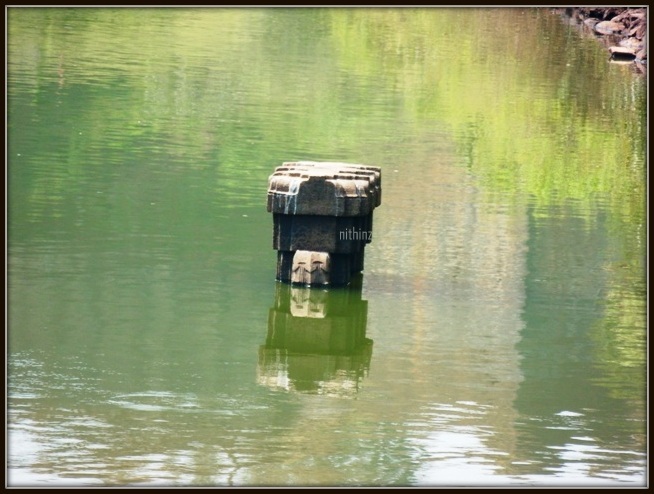 When you take it a bit more deeply, you realize that what we think our problems and challenges are nothing but thoughts floating in our mind space, indeed an amazing space gifted by almighty. If you closely look at the below image. No, if you were thinking to come closer to the screen or zoom into the image, then you took me wrong. Try to imagine your position in the image from the point where you currently are likely on the planet Earth. Now, try to perceive the thought I planted in your mind space. Let your thoughts sprout in your mind till you realize that how beautiful is your mind space. Moral is do not plant your space filled with problems alone; Life is all about the moments you create in your amazing space! Most important of all checklist items that you will have to look is your stay, when you’re not alone. There are umpteen booking portals available online to plan for. Based on Google weather forecast, Kukke was a bit hot in comparison with Bangalore weather. I booked an a/c room at Mahamaya Residency, through Stayzilla just two days before the trip, for comfortable stay. As instructed, I got in touch with the hotel. Mr Kamath to confirm my booking. With all things set, we started our car around 8:00 am on Sunday. The sun shone bright as we were going to have a great time, intuition strikes earlier, it is always good to look forward like this one is always good to look forward for a pleasant drive. As we past 9:00 am, we were done with the nice NICE road, but things were not so smooth at Nelamangala road; end of the NICE road junction. It welcomed with long containers, buses, cars piled up all wide. The crawling traffic stretch continued for almost 10 km, where we took our first break for the breakfast. By 10:30 am we joined the Bangalore-Mangalore highway, silky smooth drive with several toll booth pitstops. We zipped our way through the outskirts of Hassan city. After 20 km from there, you see a message Toll Road Ends. There on till Sakleshpur, where we had our pitstop break for Lunch. There were many more tankers moving, which had no mercy to cars. Someone who’s driving for the first time on this road may find a bit uncomfortable. We lunched at Surabhi’s, a vegetarian restaurant in Sakleshpur. 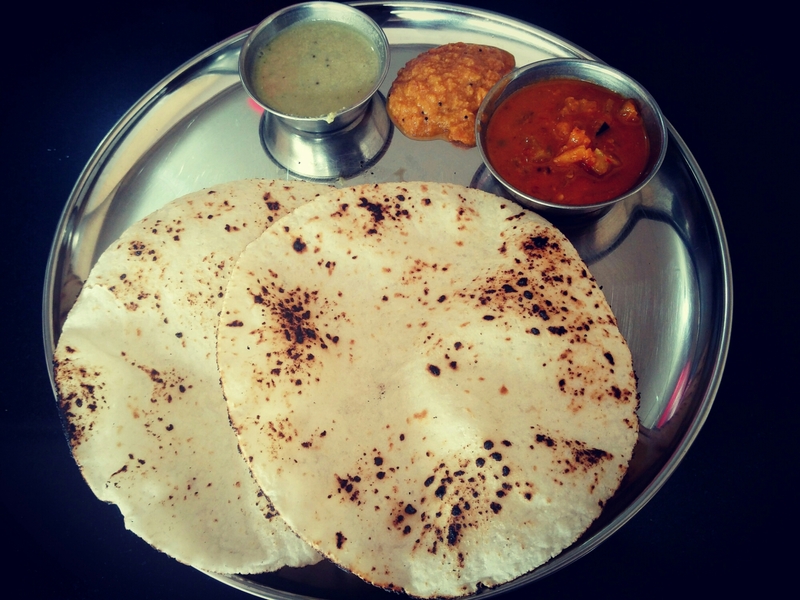 Pretty decent South Indian meal and complimented with Akki (Rice) Roti–hot, fresh straight from oven, and yum. No oil, which made my more happy. Final lap of 70 km from Sakleshpur to our hotel at Subramanya was a bit difficult as there was several potholes and damaged road areas. It was a tiring 3 hours drive with curvy roads to our destination. 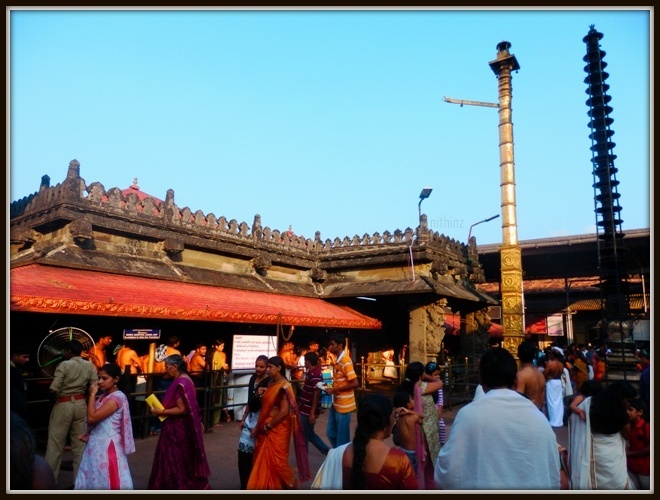 With GPS turned On, you can’t miss the junction at Gundya, where you have to take a left turn to Subramanya. By 3:30 pm we checked in to the hotel and had some rest. Carry some hard cash, you might not be lucky to swipe credit cards, especially at fuel stations on the way. Water water, carry as much if you’re sensitive. Bisleri and Kinley mineral waters are rare to find in small joints. Hardly you get mobile signals, unless you are on BSNL, there are many no signal areas. Every human being should realize this – Tomorrow morning if you disappear, nothing will happen in this world. Everything will continue to happen wonderfully without you, whoever you may be; those handful of people will forget soon enough. You must constantly remind yourself about this, then you will have no reason to be serious. Remember that you are just a speck of dust in this existence. It is easy to retrospect the past especially when it is recent. Hence, December for most people is that time of the year where you weigh your goals against what you achieved. In a perfect world, your achievement equals your goals. But in the real world, it is just a possibility. In most cases, things balance with both success and failures. At the end of the day, success and failures itself are relative terms with strings attached. Some call it as fate and others call it as luck. Well, you should not get stuck into any, instead must focus on planning things out which will yield results. 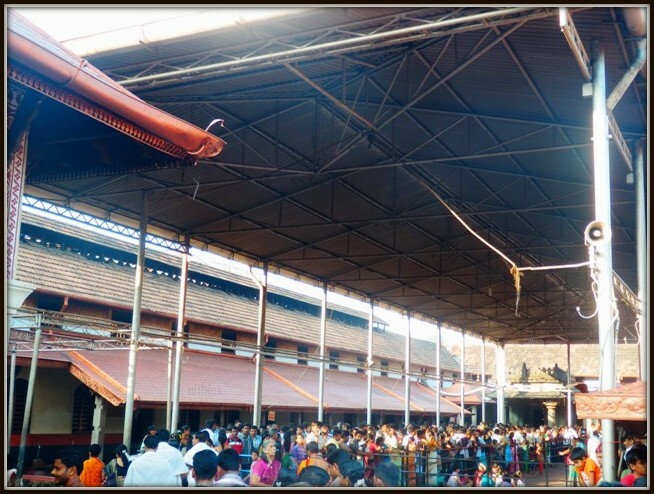 The plan was to visit Kollur Mookambika temple alone, then if time allows visit places around Udupi. Plan B was already overshadowed the original plan, which was to drive long till native town and spend time with family. We started our drive from Bangalore home sharp at 5 am. Evident intention was to avoid the traffic within the outskirts, Nelamangala area. However, the traffic was piling up even from the entry point at NICE Road near Hosur Road. After we exit from the NICE Road, there were people standing by the roadside for state transport buses, which made the drive more uncomfortable. This was the state till the Nelamanagala toll plaza, where we had to spend more than 30 minutes to pass through. By then, the time was already 6:30 am. 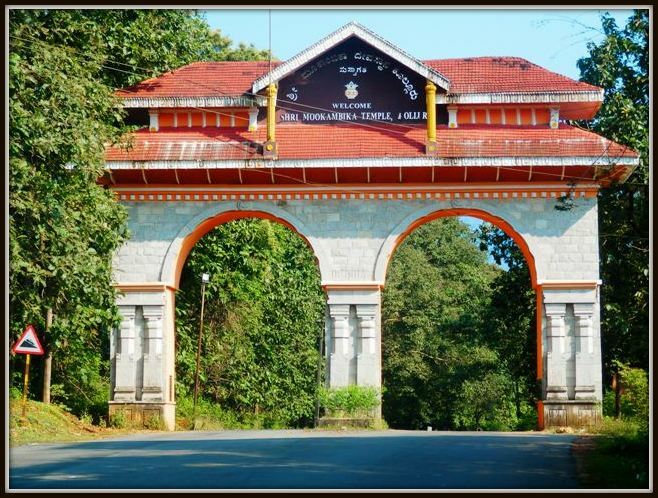 Straight drive then on through NH 206 – Bangalore-Honavara Road. At Tiptur town, we had the first pit stop for breakfast at the Pai Restaurant where it was very crowded. Resumed the drive but was watchful for the bypass somewhere 5 km before Tumkur according to the Google maps. The next destination was Shimoga (Shivamoga as most of the road directions say). Road condition was not fine with a moderate two-way traffic. 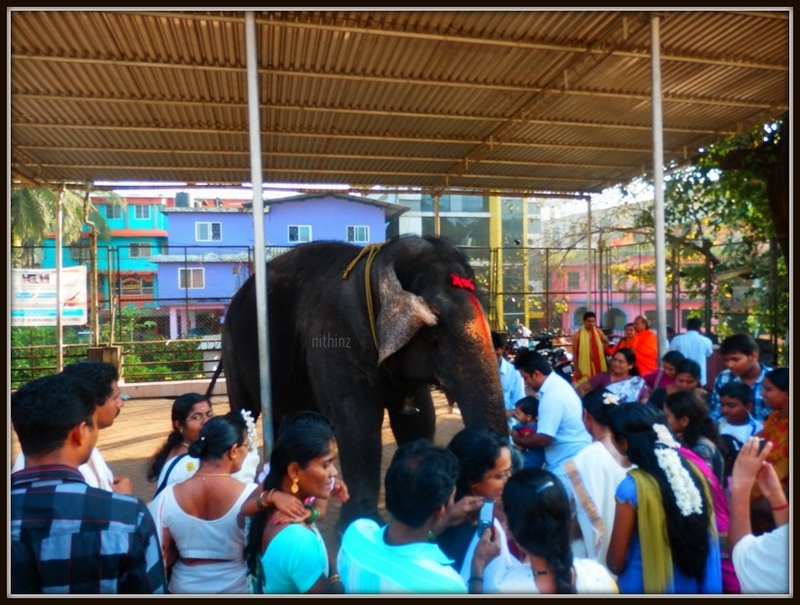 Around 1 noon we reached Shivamoga (Shimoga) and inquired for the best route to Kollur. On probing couple of locals, came to a conclusion that we must take the Honavar highway and will find a diversion at Ayanur towards Kollur via Hosanagara. The junction from where we have to divert the Honavar highway began the worst road. The fear of Tyre burst made us to crawl under 30 kph. We completed the lunch in a small town, Nittur, which was 21 km from Kollur. We had pure vegetarian meals to stay on the safer side. Lunch was just average one. The road further was getting bad to worse. 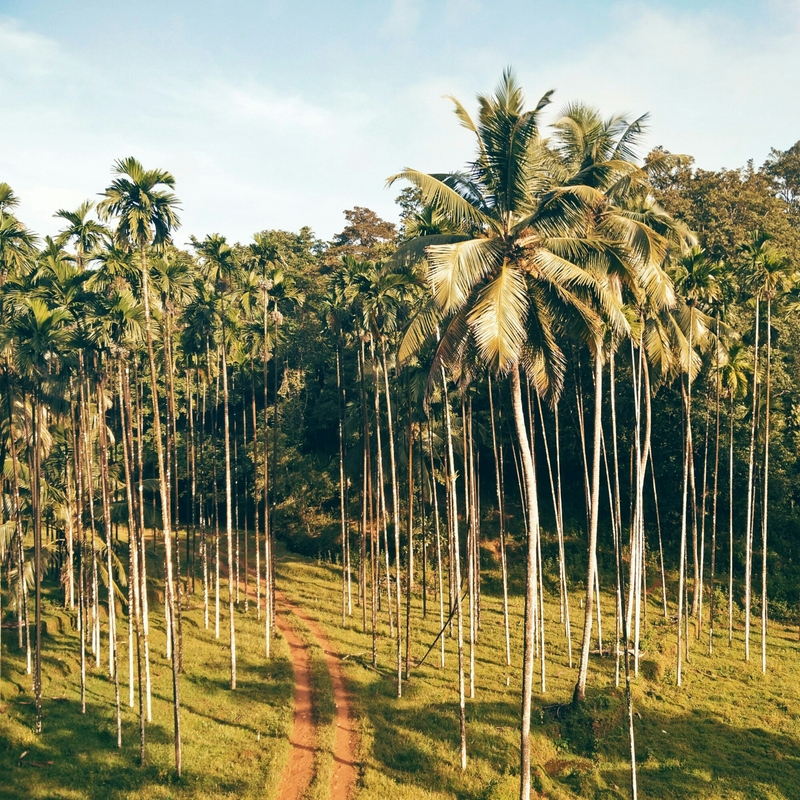 At a forest check post 13 km away from the Kollur temple is the worst road of all. It took almost two hours to pass through this final stretch. The climate had no mercy; mercury was boiling at 32 degree C.
Around 3 pm, we checked in to the hotel. Temple is open till 8 pm or so. 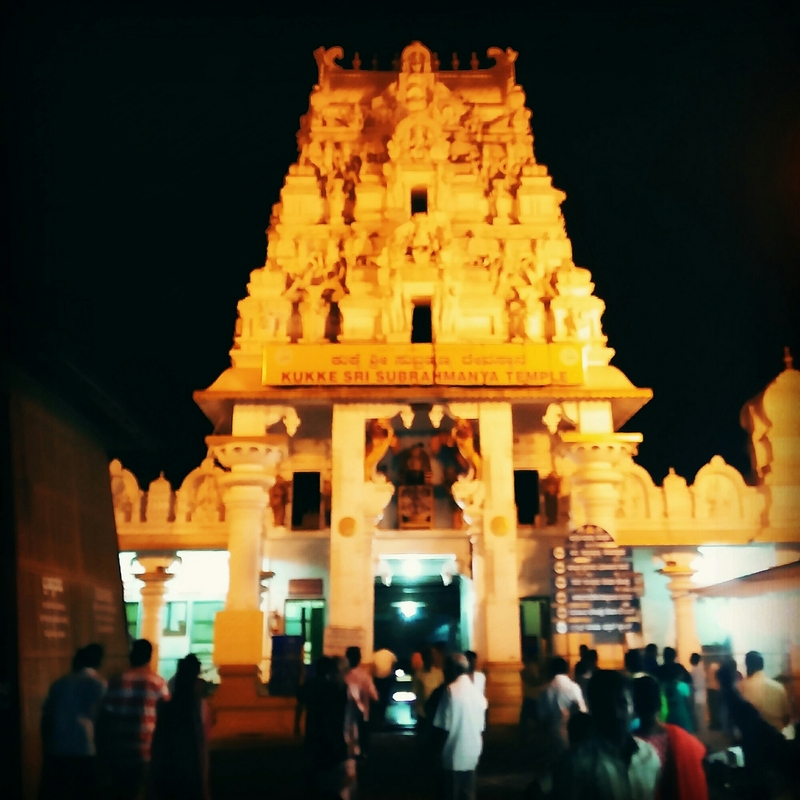 Visited the temple during the evening and we already got a sense of crowd. Energy was running out low so without further exploration, had a quick dinner, and hit the bed. 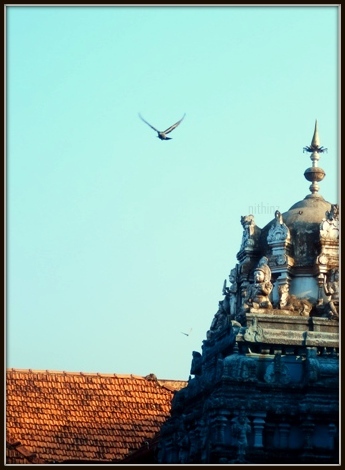 Next day, we completed another round of temple visit and checked out from Kollur by 9:30 a.m. It was only then we decided to drive home; plan B activated. 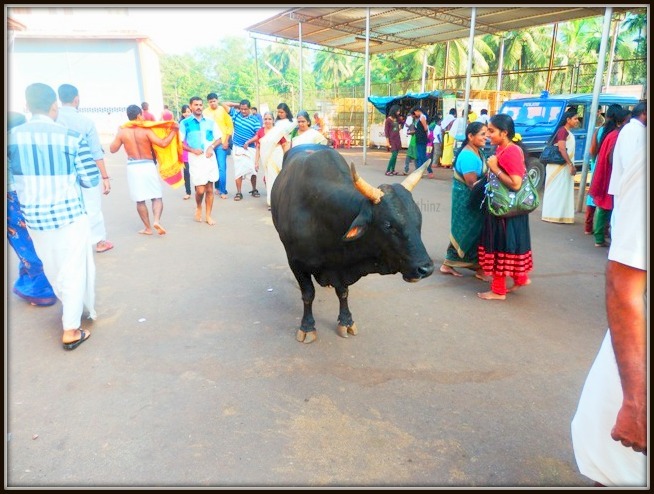 From Kollur to Udupi, Udupi to Mangalore, Mangalore to Kannur, and then to Vadakara for the final stop. The movie, Lunch Box, is an experience, with a maturity-tag attached. 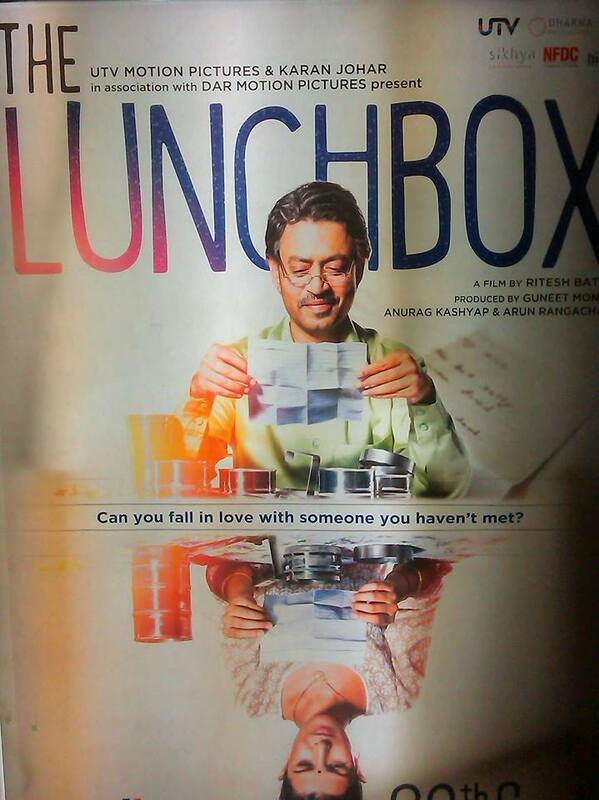 Even before watching the movie, I am sure, many would guess what is the story all about – It revolves around a mistaken delivery by mumabi-ka-dabbawala (lunchbox service) which leads to bloom a relationship between an about to retire, Saajan (Irrfan Khan) and Ila, an unhappy housewife as they start exchanging letters through the daily lunchbox. “I think we forget things if we do not have no one to tell them”. Now, that was my favorite dialogue, which will make you think about so many things in our busy life. There are several such moments that will make you pause. The sudden switch between fantasy and reality is nice–song from Saajan movie which they play through a cassette and live singing by a bunch of street kids. In an advise to the actor, IK says, “No one buys yesterdays lottery ticket”.. which is a clear indicator that he does not have much to offer at his retirement age who lives in his past. Hats off to I-Khan, who made the whole experience so real and touching, like usual he does with his roles. The movie ends at an interesting stage, without making any evident conclusions. It is left to audience think and derive on one or many. A well directed script around urban loneliness that two souls experience. Hope you will also enjoy viewing the lyrical and well balanced Lunch Box. More to My Vision Powered by WordPress.com.